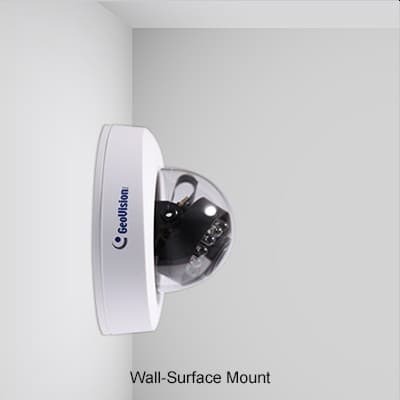 The Geovision GV-EFD2700-0F mini fixed dome network camera specifically designed for indoor surveillance applications. The Geovision GV-EFD2700-0F includes a Fixed 2.8mm Lens and a 1/2.8" CMOS image sensor, providing an HD recording resolution of 1920 x 1080 (2 Megapixel) at up to 30 frames per second. This camera performs very well in low light environments with a color lux rating of 0.005 and a black & white lux rating of 0.004. For environments with little or no light, the GV-EFD2700-0F features Infrared LEDs with an effective range of 40 meters / 131 feet. 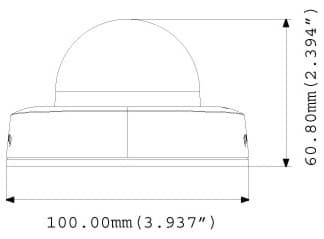 A Removable IR Cut Filter further enhances the image quality by blocking the unusable infrared lighting and only allowing the visible light to pass through the lens. The GV-EFD2700-0F includes WDR (Wide Dynamic Range) Pro Enhancement, which enhances the image quality in environments with challenging lighting conditions (such as ultra bright or dark backlighting). It works by combining the darkest part of the image with the brightest part to create one highly detailed image similar to those created by the human eye. This camera can be powered by either the included 12V-DC power adapter or by POE (Power over Ethernet) 802.3AF. The POE feature allows the installer to run both data and power over one CAT5-E cable, however, this will require a POE compliant network switch or injector. The bi-axis mounting mechanism allows the user to mount to either a wall or ceiling with ease. The GV-EFD2700-0F includes a 32 channel central management software with a multitude of features and is remotely viewable from PC's, iPhone, iPad, Android, and 3GPP mobile devices. 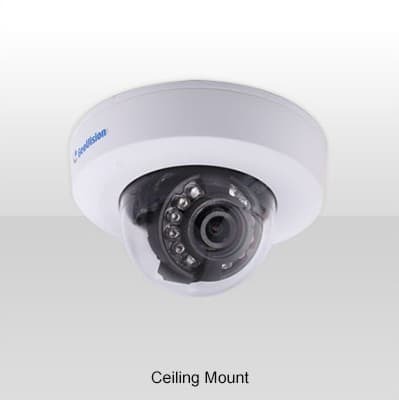 This camera is ideal for indoor applications that require an alternative to more expensive megapixel IP cameras.